A5, A4 or A3 photocopying in black & white or full colour. High quality photocopying using a state of the art Ricoh photocopier. Whether it’s 1 or 1000 copies LMS Printing can produce outstanding results on a variety of paper or card in various colours and thicknesses. Copying can be combined with several different finishing options including binding/hole punching/booklet making etc to produce professional looking manuals or specifications etc. See our finishing page for more imformation. 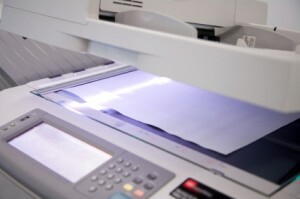 For A2, A1 and A0 photocopying please see our Large Format Printing page. Enlargements and reductions from 25-400%. Media includes high quality 80gsm paper, 100gsm Mondi bright white paper, card, glossy paper and coloured paper. LMS Printing is committed to providing friendly outstanding service.